In the Philippines, the best academic schools have a number of introverted parents. Communication with these people is sometimes a challenge since most of the time the parents don’t want to make time to talk to the teachers on PTA meetings; this, of course, is a must so that they can work together to improve their child’s learning skills. 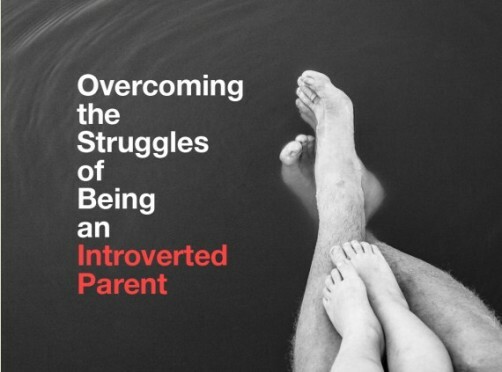 It’s a good thing that there are some things introverted parents can do in order to overcome such challenges. But before that, they must understand their introversion. Many people believe that introversion amounts to shyness however, according to Harvard Business Review there is no direct correlation between the two characteristics. It even adds that there are many extroverts who also happen to be shy. Introversion is simply an overall preference for being alone or belonging in a small group of people. Introverts favor their “inner world” instead of the alternative; being in the outer world drains their energy which is why they find the need to recharge after attending a social event especially those with a large number of attendees. Being an introvert does not mean you are anti-social, in fact, an average introvert loves to socialize particularly with their close friends and family. But unlike extroverts, they realize that they need solitude after a long time of interacting with other people. Introverts can get easily distracted, overwhelmed, and unfocused if they continue to be in a place with too much stimulation. There are many struggles introverts face in their day to day lives. 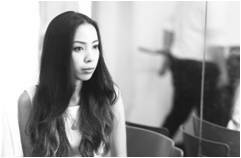 Some of them may find them in their workplace while others may face them in their own homes; but being an introverted parent is like having a special kind of brand wherein you may face a different set of struggles altogether. Firstly, if you are an introverted parent, you may find that you seldom find time for your own self. The time to seek solitude for yourself to be able to recharge your energy has been taken from you primarily because you are now responsible for your child’s well-being. Often, parents put their child’s needs first before theirs and although it may be selfless, it can also lead to having less and less energy to deal with other things. Secondly, introverted parents also find themselves having to socialize more than what they are used to. As your child grows up, you realize that you will have to attend uncomfortable social events such as birthday parties, play dates, parent-teacher conferences, family get-togethers, and other friendly events not only to appease your child but also to get to know them, their friends, as well as other parents. Thirdly, you will find that people will misunderstand you a lot for being an introvert. People, who do not understand introversion, may find you aloof or anti-social simply because you like to keep to yourself. Also, you often times find yourself in awkward situations when you have to interact and communicate with other people, especially other parents, who have no problem socializing and they may believe your lack of engagement into their conversation means that you do not like to talk to them. Fourthly, you realize that as an introverted parent you are quite hesitant to ask other people for help when you need one. Introverts are often independent individuals who like to be self-sufficient but there are moments when you need assistance when it comes to dealing with important matters such as parenting and the best thing for you and your child is to ask support or advice from someone else. The first thing you need to realize if you want to overcome the struggles of an introverted parent is to accept that you are an introvert. There is nothing wrong with you preferring to spend your time in a small group of people or with yourself from time to time. Everyone, including introverts and extroverts, has their own strengths and weaknesses and you need to understand yours to also overcome the struggles that you face daily. As a parent, you understand that everything you do ultimately affects your child. Think about how your struggles may affect your child or children in the long run. You have to establish a better communication with them if you want them to understand you as an introvert. Remember that your child could also be one and it may be easier for them to understand this concept earlier in life. It is also better to have your children understand that you need time for yourself every once in while in order to recharge your energy. This way they are more likely to realize and comprehend that you are not simply being selfish when you want to spend your time in solitude. Overcoming these struggles is a gradual process. Don’t be frustrated if developments do not happen instantly. Give yourself time and exert enough effort; it will eventually happen.